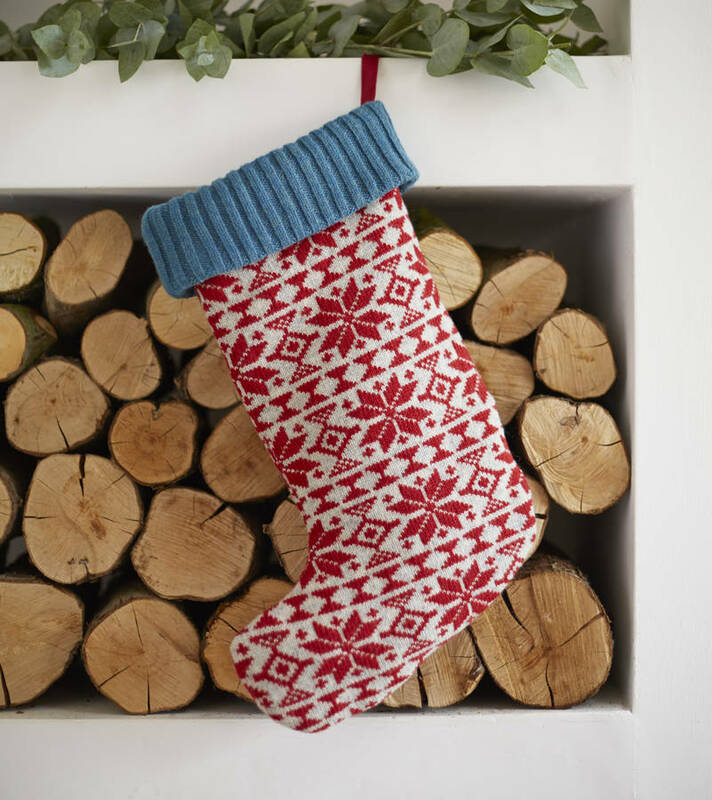 Gorgeous knitted stockings perfect for hanging over the fireplace and stuffing full of treats! These beautiful snowflake patterned Chrismas stockings are exclusive to us. Perfect for hanging from the fireplace or at the end of the bed, these traditionally patterned stockings come in two gorgoeous colourways, red and teal or hot pink and mustard. They sit beautifully in tradtional or modern schemes and will be bought out and treasured for years to come. 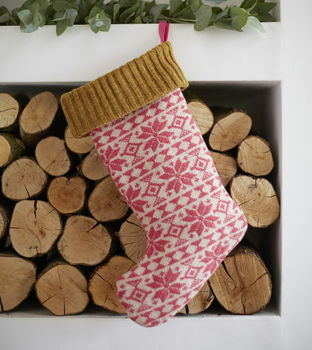 Made from 100% Lambswool these stockings are knitted and hand made in London, UK. They come with a coordinating cotton loop for hanging. Available in red on a soft grey background with a chunky teal rib cuff or bright pink on oat background with chunky mustard rib cuff.